photo.jpg, originally uploaded by zerobatsu. The power is out. 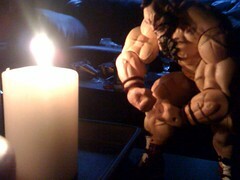 So zangief and I lit candles.